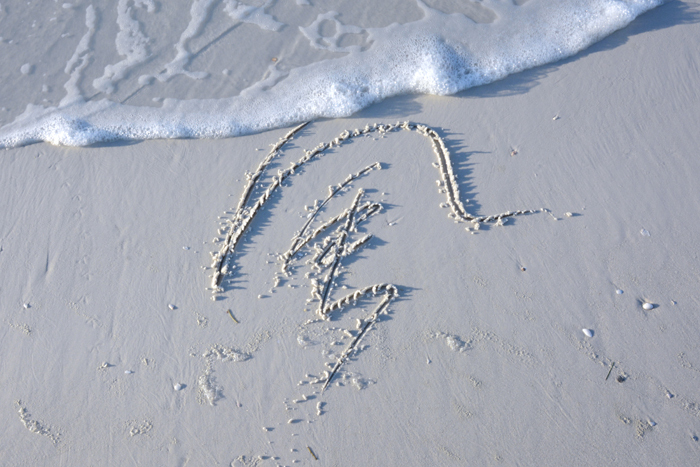 The beach in Siesta Keys held an endless canvas of white sand. Walking along the expansive beach at sunrise, it seemed to extend as far as the eye could see. On this unique canvas, several characters were drawn into the sand; some in the drier sand, and some in the wet sand. This brought out the kind of depth that paper alone cannot create. 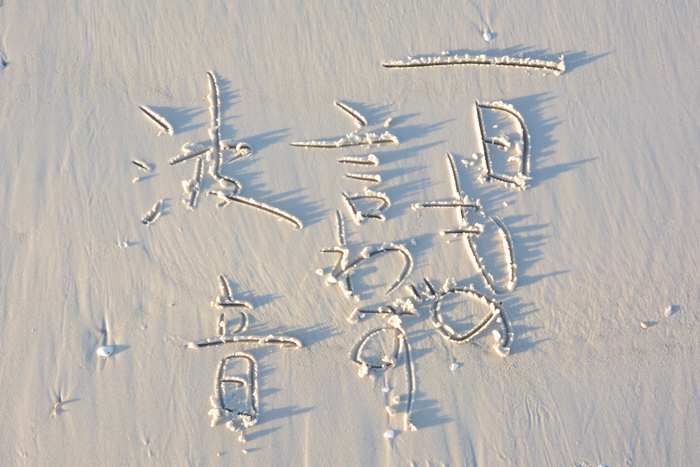 There was a playfulness between the found sticks and the beach, the light and the shadow, the characters and the depth which brought a new dimension to the idea of calligraphy. And as the tides rose and the wind picked up its speed, the water washed the characters back into the water. Stunning moments at Siesta Keys.